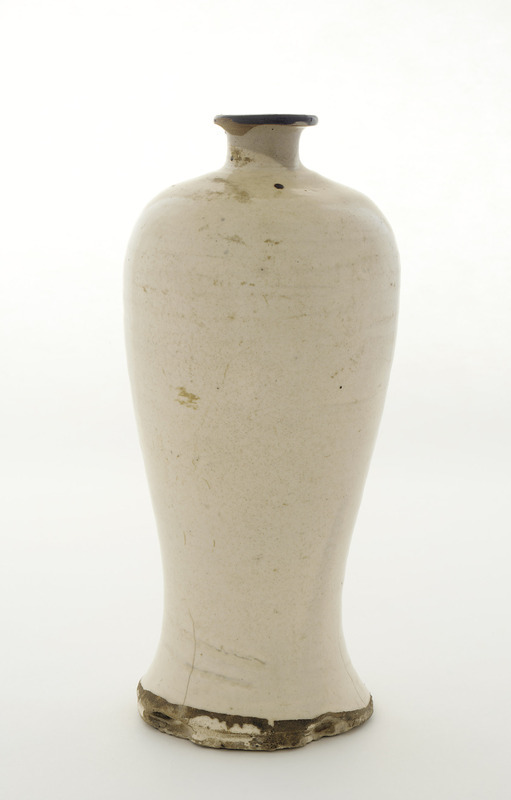 This slender baluster-shaped bottle was purchased by Freer from the New York branch of Yamanaka and Company in 1905, and at the time it was thought to date to the Song dynasty. Like many of Freer's ceramics, this piece is now known to be from a later period of production. In the Peacock Room in Detroit, the collector displayed it near a number of other Chinese ceramics, many of them featuring a similarly cream-colored surface with touches of color along the neck or shoulder. "Bottle," in The Peacock Room, Freer Gallery of Art, Smithsonian Institution, Accession No. F1905.279, Item #3190, http://www.peacockroom.wayne.edu/items/show/3190 (accessed April 19, 2019).